I'm entering the roses in to The Craft Barn's weekly challenge on Backgrounds. 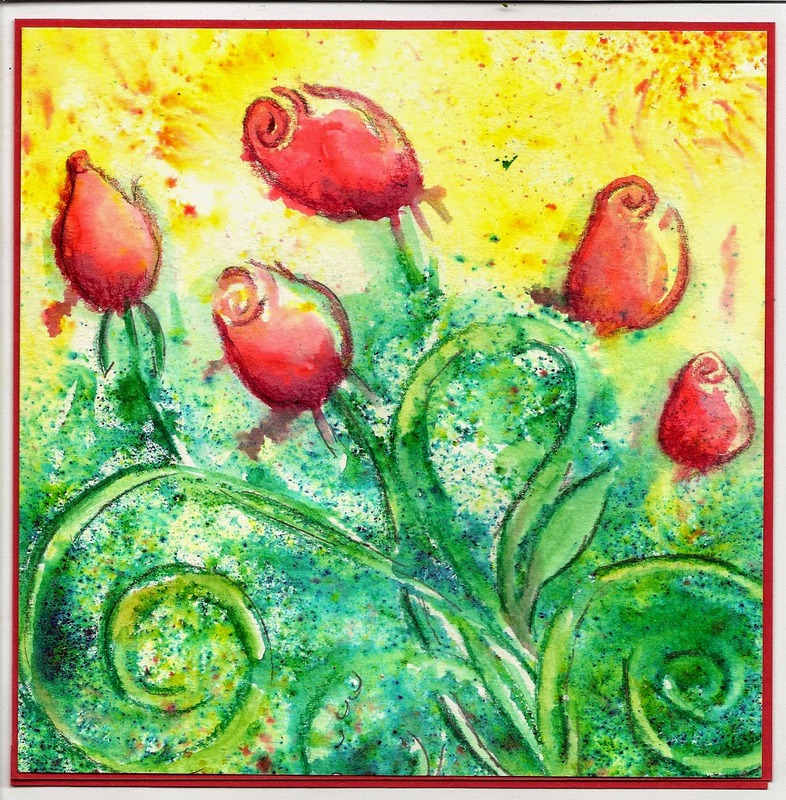 There's definitely a touch of Spring in the air, the birds are sounding chirpier and the daffodils are beginning to peek out. 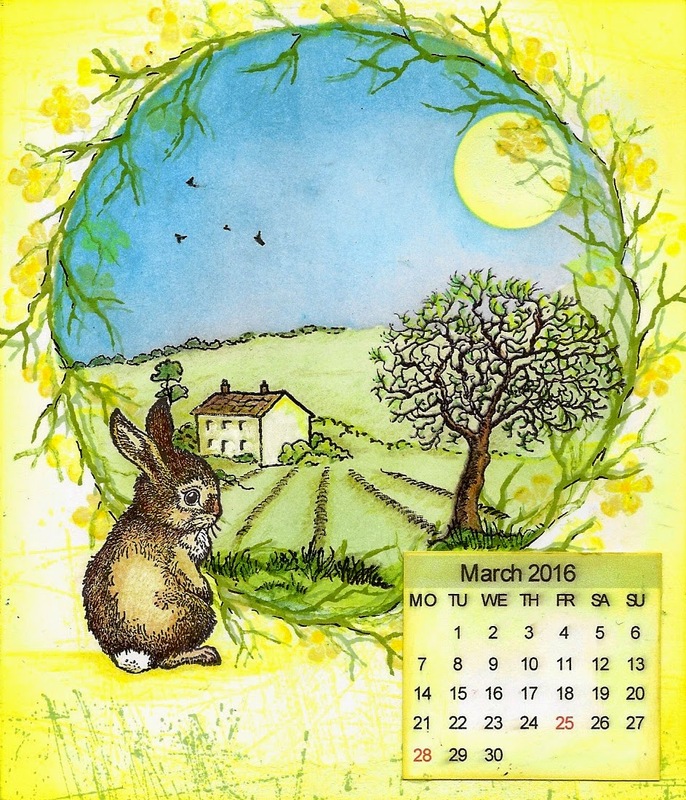 Time to think about The Craft Barn calendar challenge for March - Yellow and Rabbits. A good excuse to use one of my oldest and most loved stamps, the PSX Bashful Bunny. 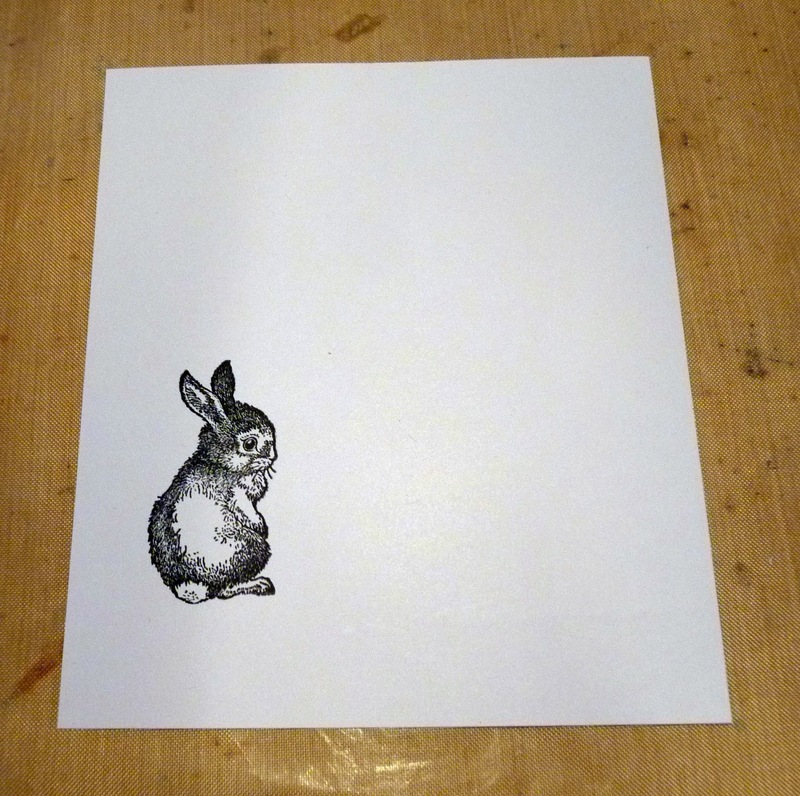 First the bunny was stamped and masked. A circle stencil and a mask for the sun were taped down. 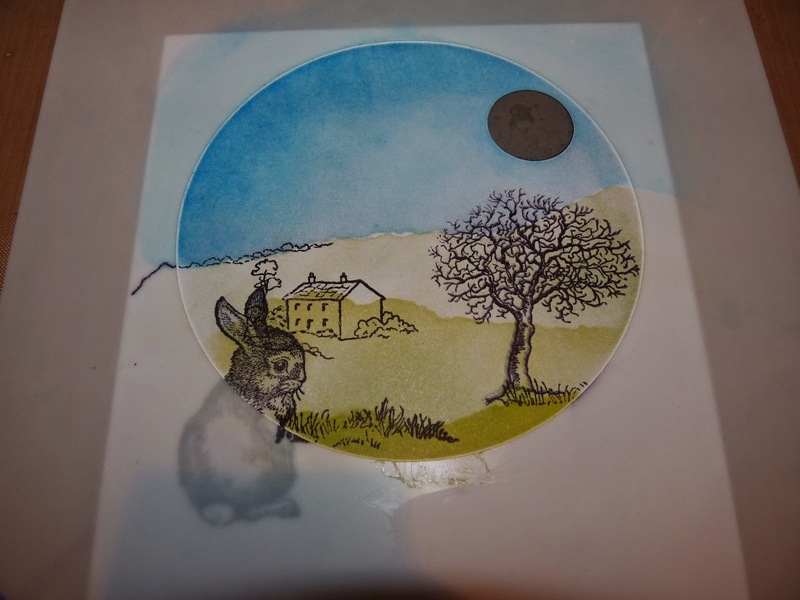 Gradually the image was built up using Distress ink over torn paper masks for the hills and images stamped in Archival ink. 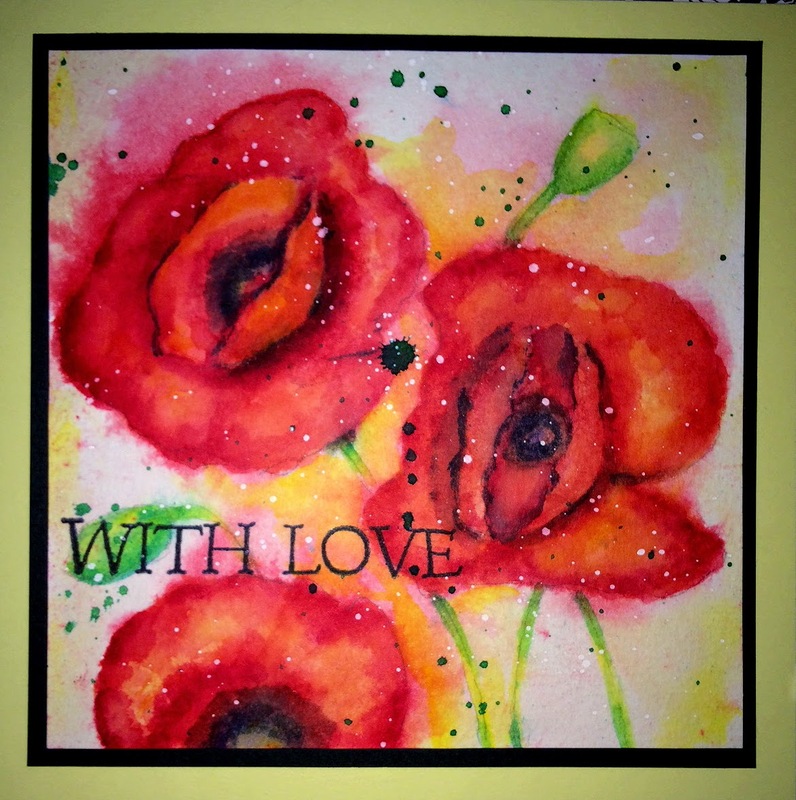 The twig and flowers were stamped around the edge with second and third impressions to add depth. Details and shading were added in coloured pencil. Yellow was added to the edges and some texture added with stamping (doesn't show up well in the photo). 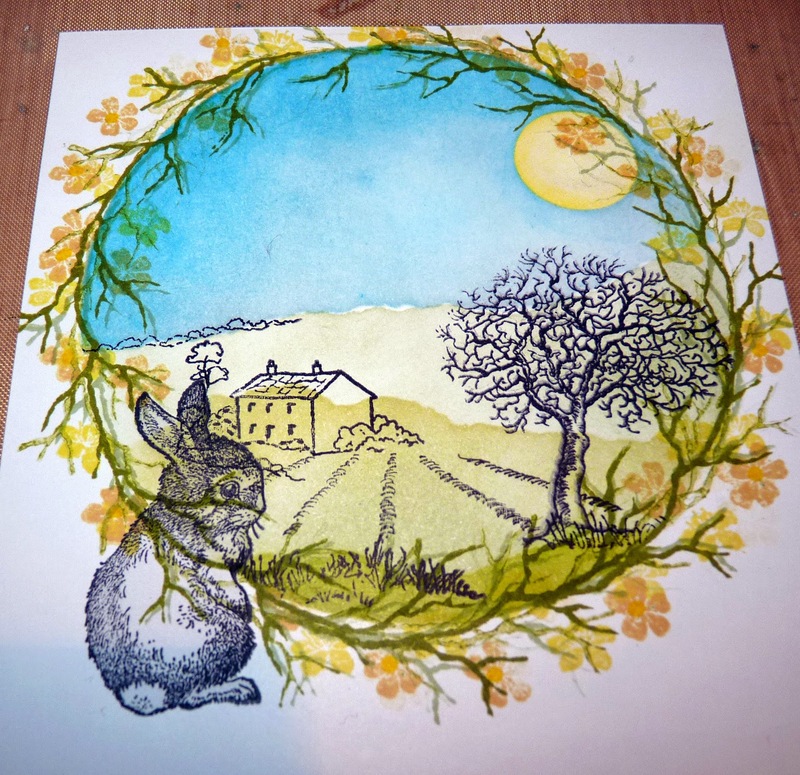 I'm entering this in The Craft Barn Calendar Challenge - March - Yellow and Rabbits.